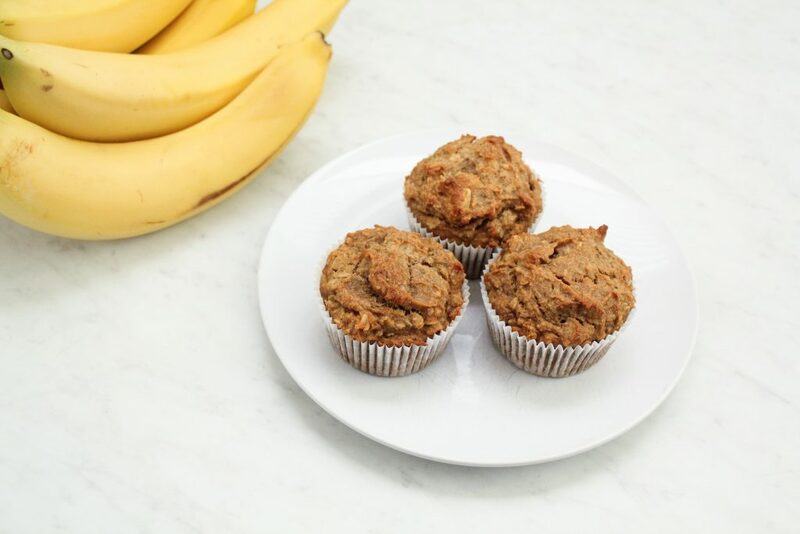 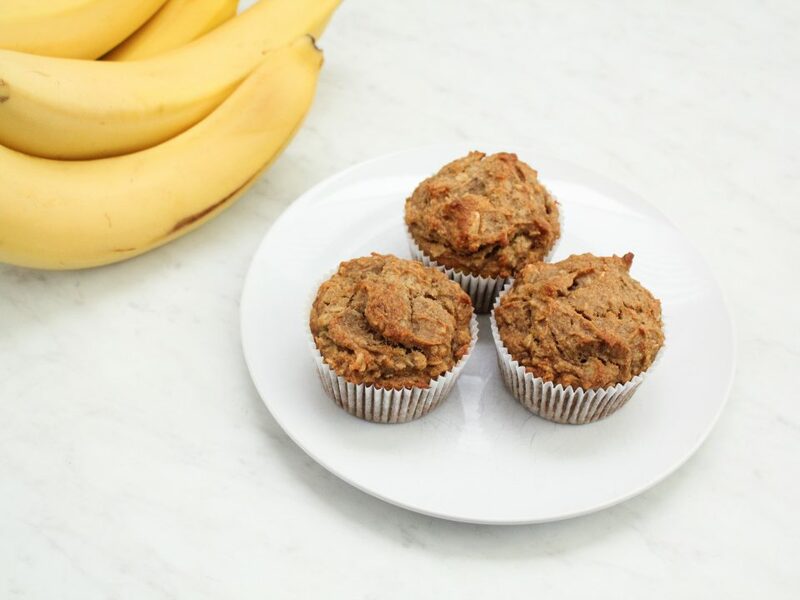 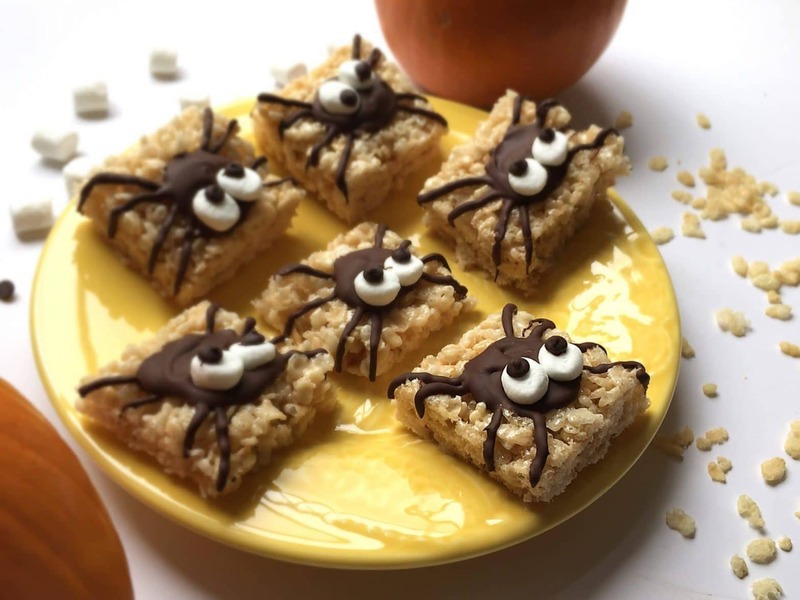 Our little two and a half year old Ella was assigned snack for the week of Halloween… This is big time in preschool world. 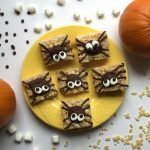 Go big or go home, am I right? 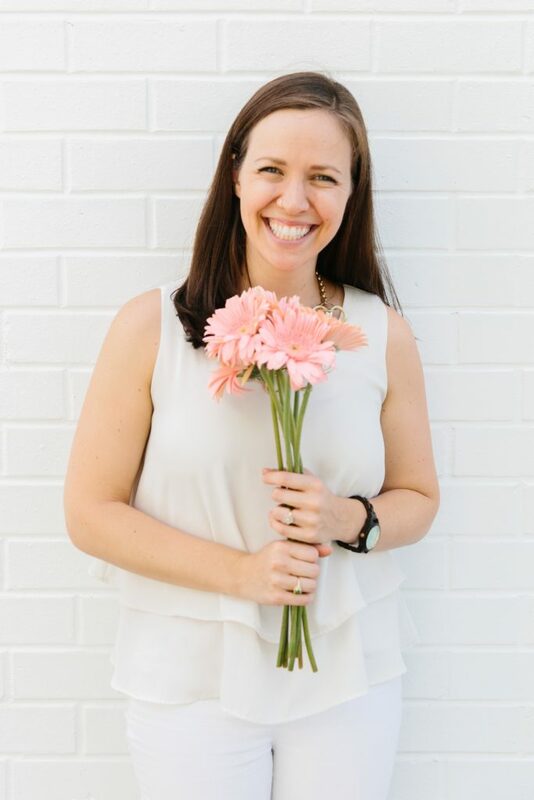 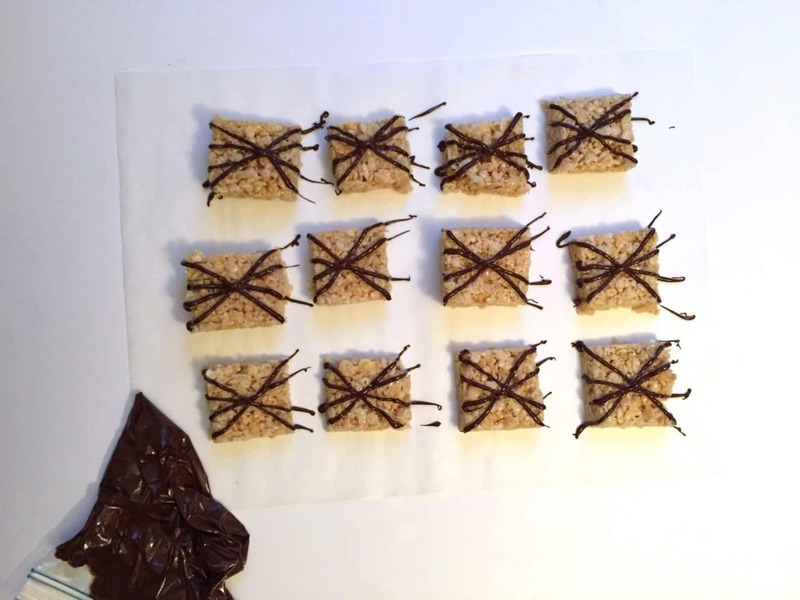 I wanted to make something that had the perfect balance of easiness and craftiness, do you know what I mean? 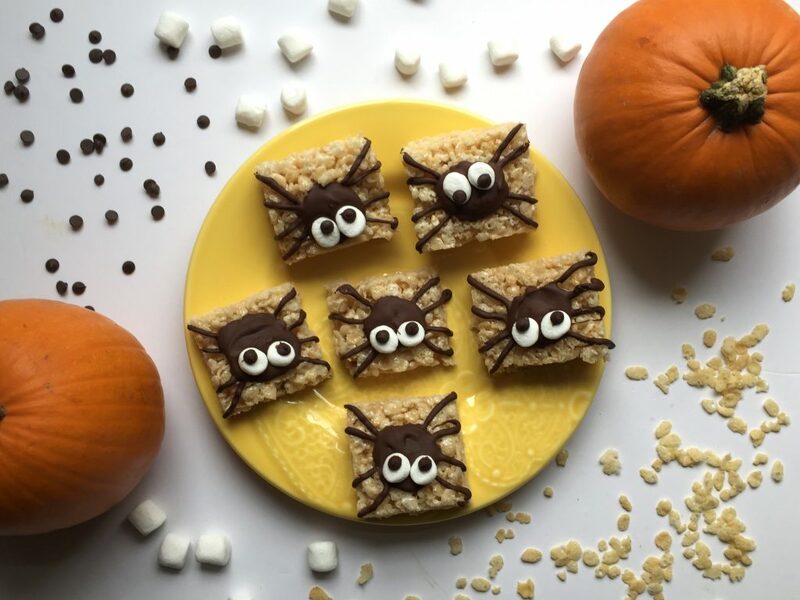 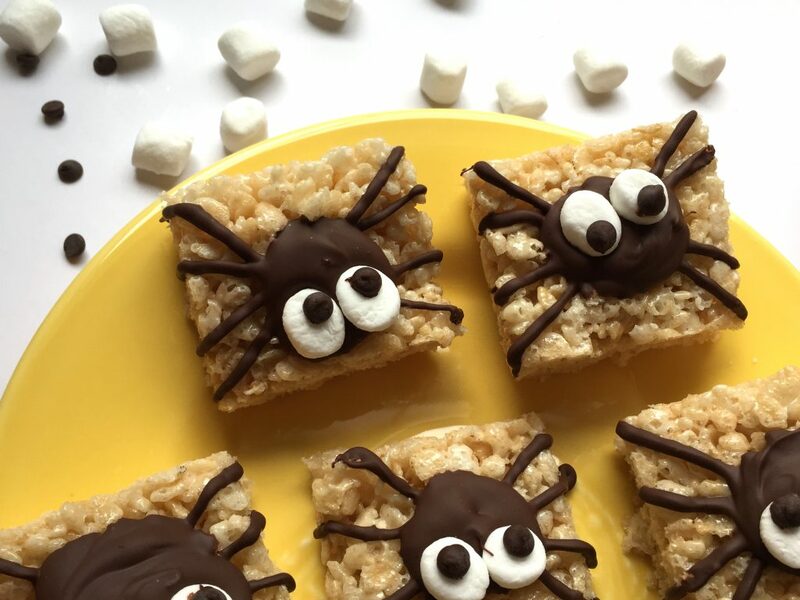 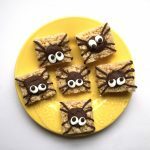 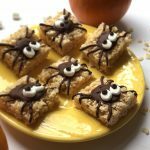 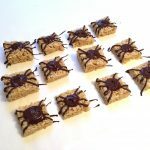 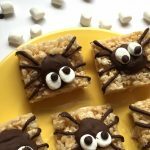 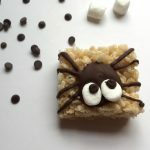 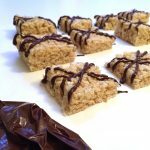 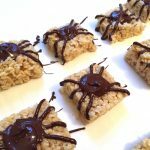 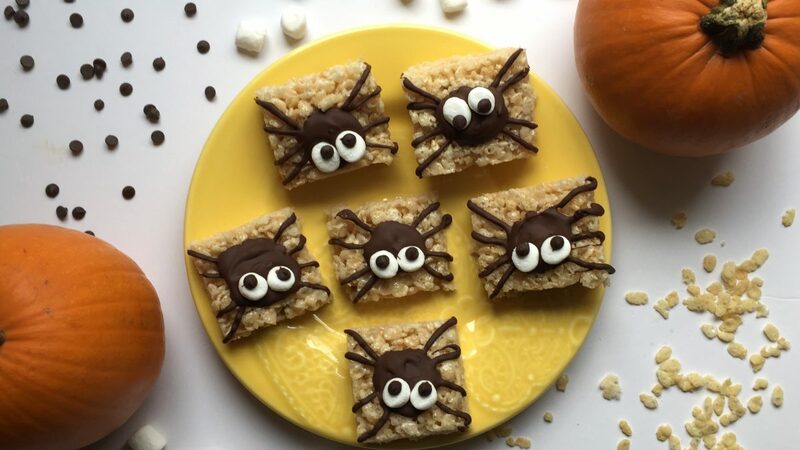 The ease of the rice krispie treats balances out the craftiness necessary for the precious little spiders. 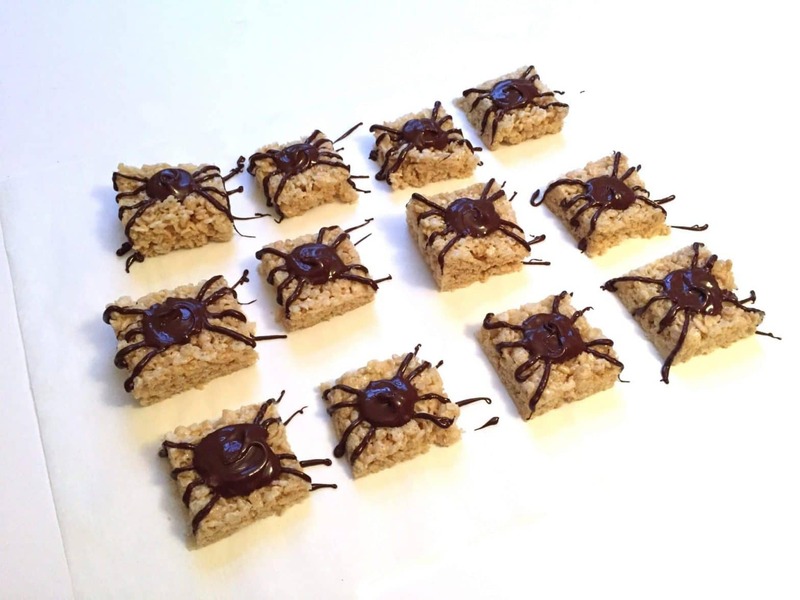 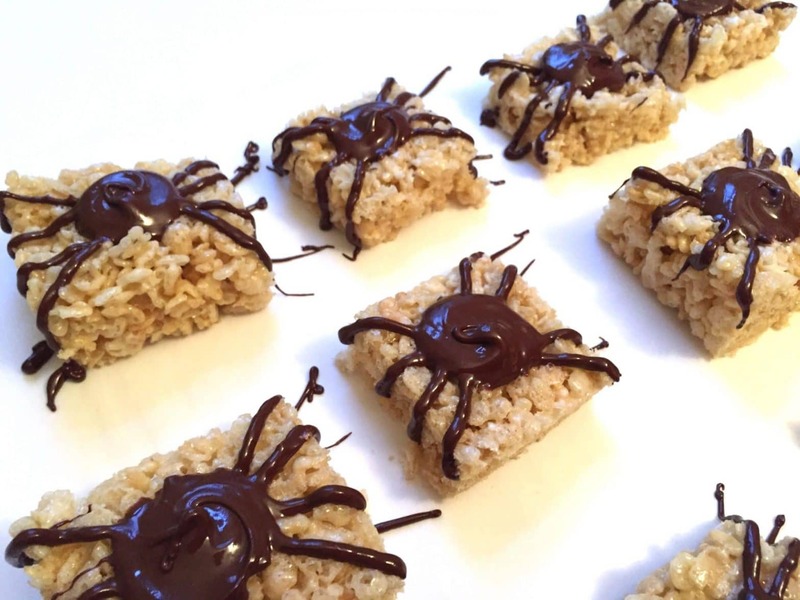 And the spiders don’t just add adorable detail… the chocolate is actually a super delicious touch! 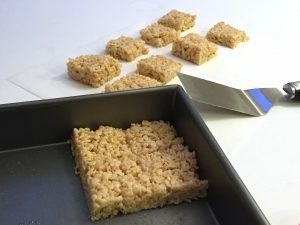 In a medium pan on the stove on low heat, melt the butter and the marshmallows. 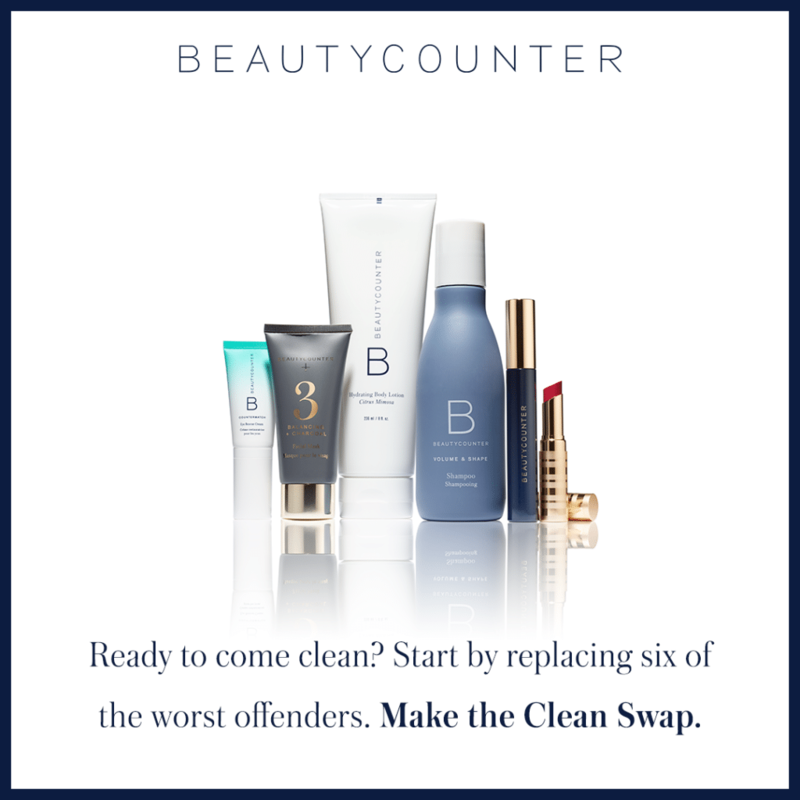 Constantly stir until they are completely blended. 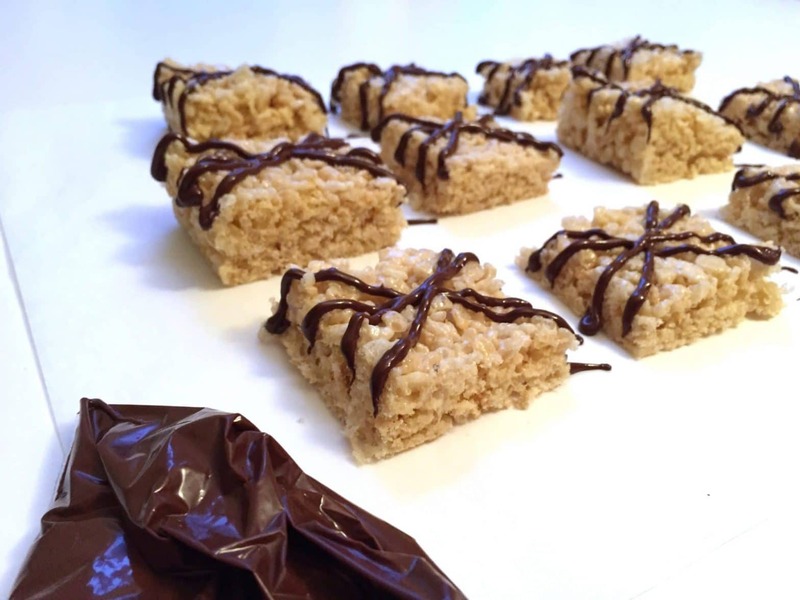 Add the rice krispie cereal and stir until combined, then place in an ungreased 9×9 in square dish and allow to cool. 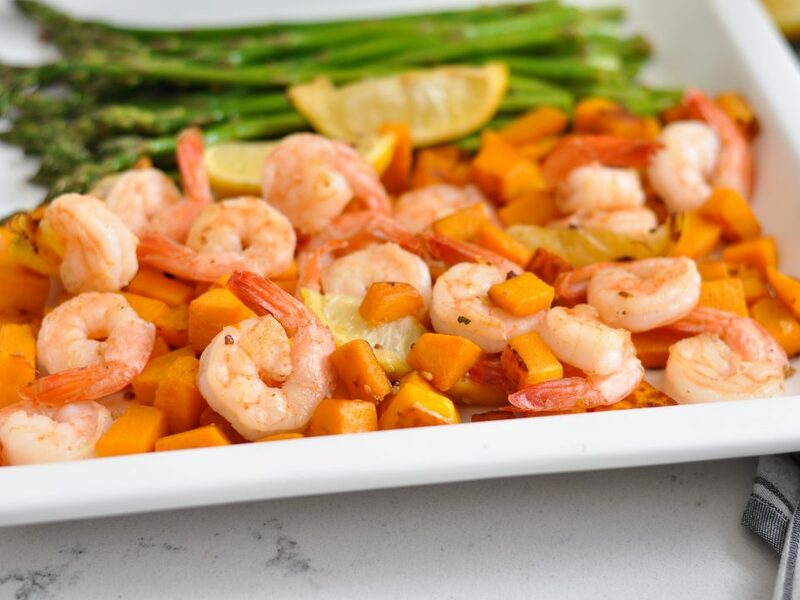 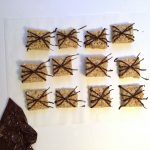 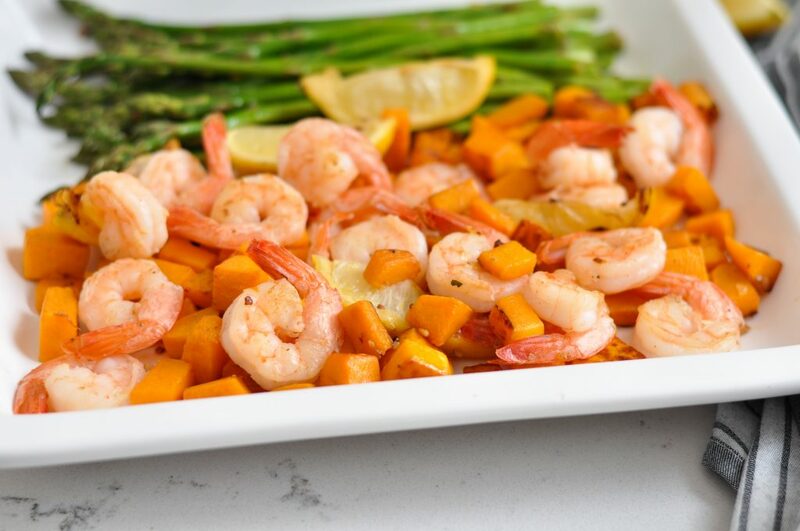 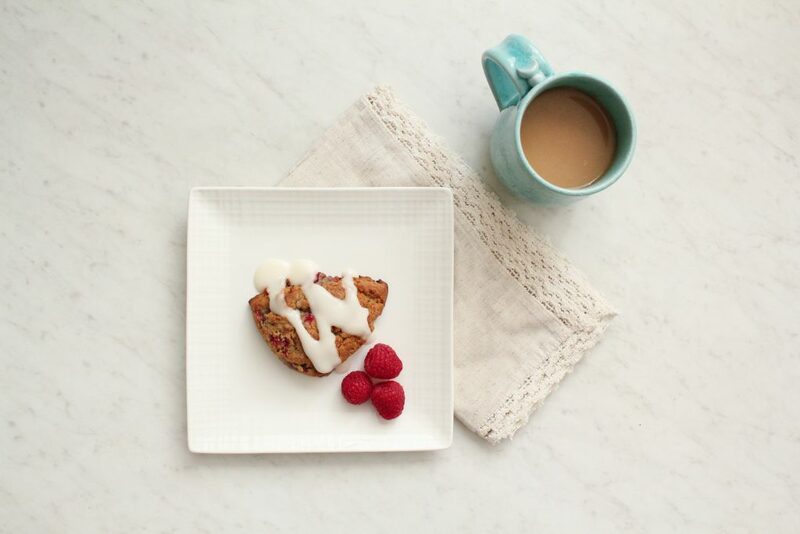 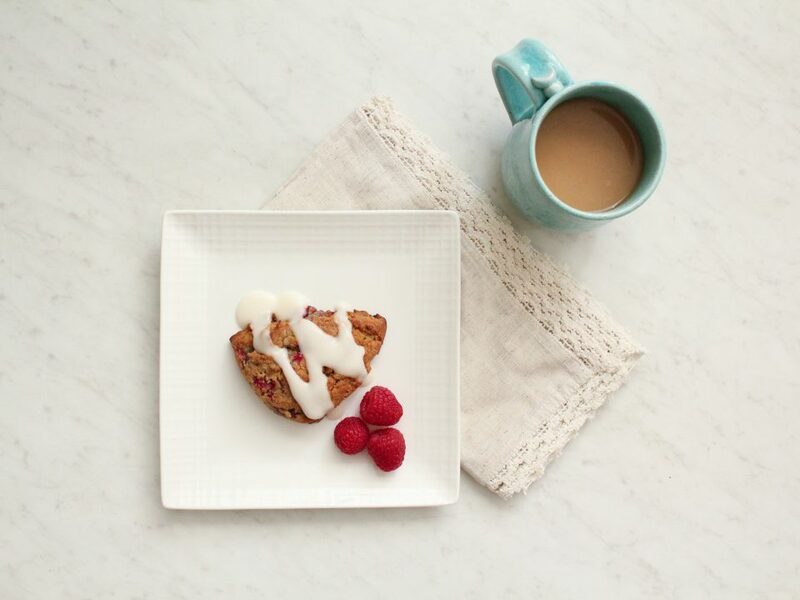 Cut into 12 rectangles and place on parchment paper. 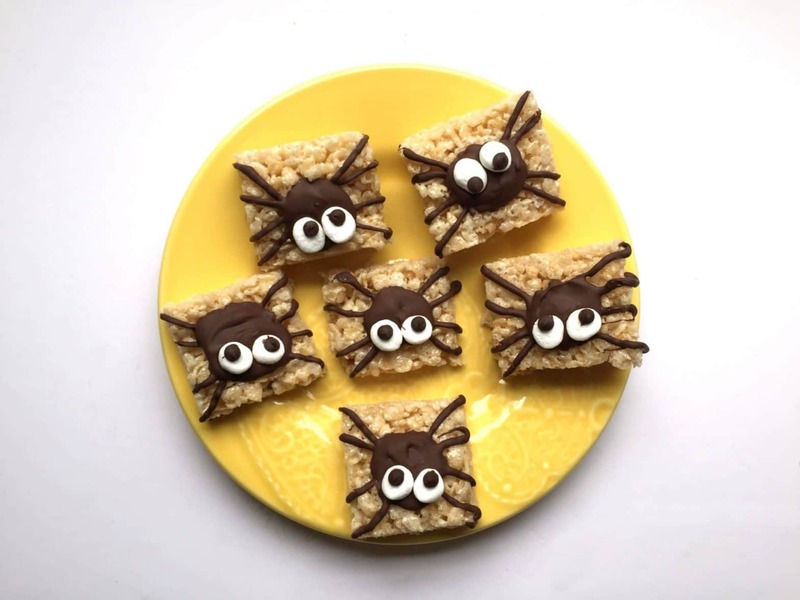 Pipe an X on the treats, then add another squattier x, making 8 legs total. 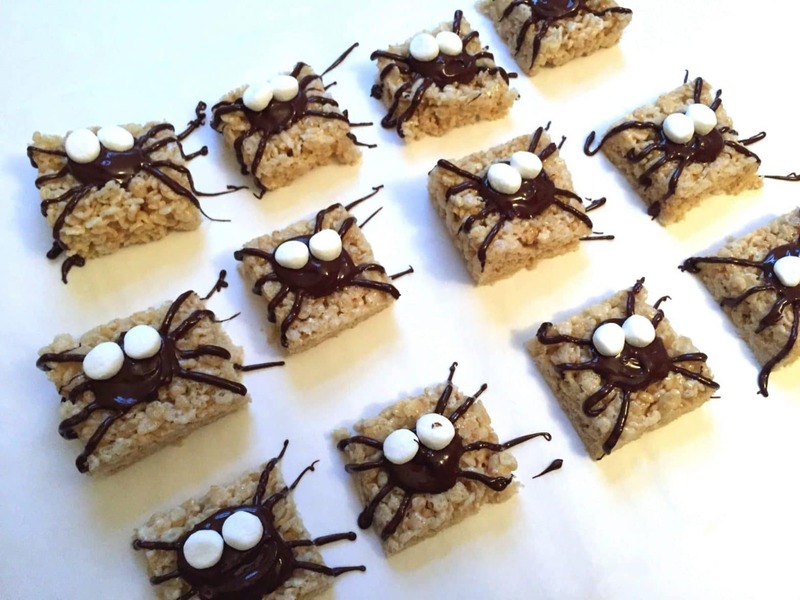 Once all treats have their legs, cut a slightly larger hole in your bag, and pipe a circle for the spiders’ bellies. 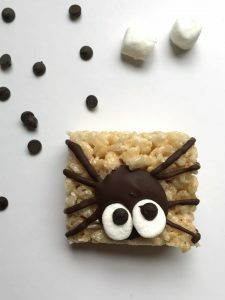 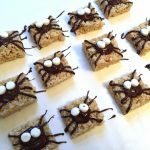 Cut each of the miniature marshmallows in half, and place them on the spiders’ bellies while the chocolate is still melted. 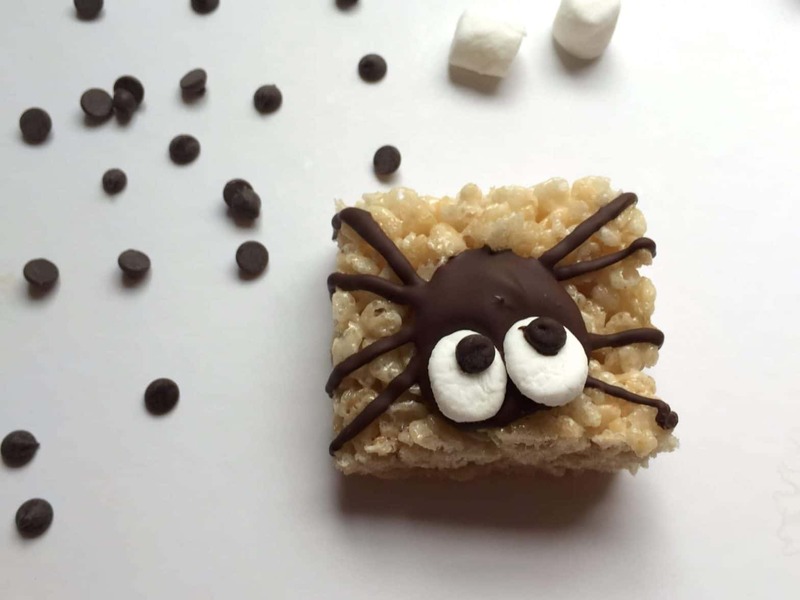 Add a tiny dot of chocolate to the back of each miniature chocolate chip and place on the marshmallow eyes.